This is very convenient to minimise the app loading times, as all app code is loaded in a single request. It also minimises the risk of conflicting with some other app or tool code. Minified (see https://en.wikipedia.org/wiki/Minification_(programming) for details). 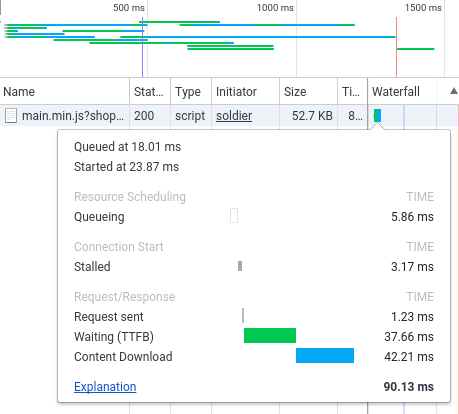 Please note that although our script loads very fast, it may start loading after another slow component in your store. You can change the order of the scripts in your theme.liquid template to avoid that effect. Finally, the app script is also cached for the subsequent requests, so it will only be downloaded once during a visit.